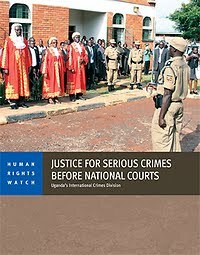 This week, Human Rights Watch released a briefing paper on domestic war crimes trials in Uganda, Justice for Serious Crimes before National Courts: Uganda’s International Crimes Division. In recent years there has been increasing focus on making it possible for national courts to conduct trials of serious crimes that violate international law, i.e. genocide, war crimes, and crimes against humanity. In particular, states parties to the International Criminal Court have devoted greater attention to promoting complementarity—the principle that national courts should be the primary vehicles for prosecuting serious crimes. This is important because international and hybrid international-national tribunals will only ever be able to prosecute a limited number of individuals—usually at the highest levels of alleged responsibility—while the fight against impunity requires a more far reaching and broader response. Moreover, national trials in countries where crimes are committed are most often best placed to ensure efforts to hold perpetrators to account have maximum resonance with local populations, and credible domestic prosecutions help ensure and build further respect for rule of law in the relevant country. 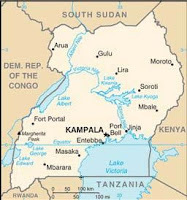 The Justice for Serious Crimes briefing paper provides a snapshot of progress from Uganda’s complementarity-related initiative: the International Crimes Division of the Uganda High Court. This division has a mandate to prosecute genocide, war crimes, and crimes against humanity, in addition to other crimes including terrorism and human trafficking. Human Rights Watch has followed the International Crimes Division’s development since its inception in 2006, through in-person meetings, telephone discussions, and e-mail exchanges with relevant and knowledgeable sources. In July 2011 Human Rights Watch attended the opening of the Division’s first trial involving serious crimes, which took place in Gulu, northern Uganda. 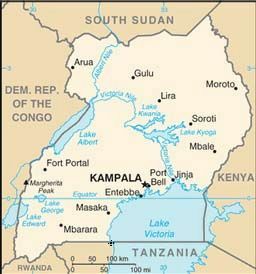 (credit for map below) In September 2011 Human Rights Watch conducted a week of fact-finding on the Division that included discussions with current and former staff working with the Division, staff of nongovernmental organizations and international institutions, and members of Uganda’s legal community. Although the ICC opened an investigation into crimes committed in northern Uganda in 2004 and has issued arrest warrants for several leaders of the Lord’s Resistance Army (prior IntLawGrrls posts available here), national trials for serious crimes in Uganda could make a major contribution to securing justice for victims of Uganda’s two-decade conflict in the north between the LRA and the Ugandan army. The conflict has been characterized by serious violations of human rights and humanitarian law by the LRA and the Ugandan army. However, with serious legal obstacles—many predictable—already emerging during the opening stages of the International Crimes Division’s first trial, it remains to be seen whether the Division will be able to fulfill its potential as a meaningful forum for ensuring justice for victims of this conflict. The one case now before the Division involving serious crimes, that of LRA member Thomas Kwoyelo, is challenging the very legal framework within which the Division operates (in particular the applicability of Uganda’s amnesty law), and its outcome will likely be decisive as to whether cases involving serious crimes committed by LRA members during the conflict can proceed. ► Highlights challenges such as whether Uganda’s Amnesty Act will ultimately bar cases against LRA members, and whether Uganda’s law implementing the ICC’s Rome Statute, which only came into force in 2010, can be used to prosecute crimes from the conflict. ► Stresses the importance of the International Crimes Division pursuing cases involving crimes committed both by the LRA and the Ugandan armed forces, and the accused enjoying adequate support and time to meaningfully prepare a defense. ► Explores the impact of structural inadequacies within the Division, such as frequent rotation of staff on and off the division and the lack of a witness protection and support scheme. For the International Crimes Division to render credible justice, including addressing crimes committed by both the LRA and Ugandan army and overcoming the legal obstacles, the Ugandan government will have to provide uncompromised political support. Donors also have a critical role to play, including by funding key needs for the Division and stressing the importance of accountability for crimes committed by both sides. The paper is part of a wider body of work on complementarity that Human Rights Watch’s International Justice Program is developing, and researchers for the program have conducted fact-finding in 2010 and 2011 in Bosnia, Democratic Republic of Congo, Guinea, and Kenya. Papers related to this research have been published or are anticipated.